Astronomy has been done in Cambridge for centuries – a landmark was when the Cambridge Observatory was built off Madingley road in 1823. 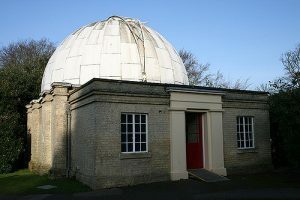 This has formed the focal point for astronomical activities, both professional and amateur, to this day: the site now houses the Institute of Astronomy (the university’s main astronomy department) as well as the astrophysics group from the Cavendish which still carry out world leading research. There are a wide range of telescopes at the observatory site. The only one now used for serious research purposes is a 36-inch, as most observations are done from space or remote mountaintops. But of particular note is the Northumberland refractor (lens-based telescope), donated by the Duke of Northumberland in the 1830s. At 11.6 inches wide (the width determines the faintest things it can see) and 19ft 6in in length (this affects the magnification), it was one of the biggest telescopes of its kind in the world when built. In 1846, James Challis used it to search for Neptune; he famously observed an object and marked it on his charts but failed to identify it as the planet, before it was discovered by Johann Galle in Germany. More recently, the telescope has had new optics, a motorised mount and a computer database added to aid the finding and tracking of objects. One of the biggest challenges to observing is light pollution – near inner cities, artificial lights create an orange skyglow which reduces contrast making it harder to see fainter objects. To get a really spectacular view therefore, a remote dark sky site (many national parks qualify as one of these) is useful. With the increasing expansion of Cambridge city, the observatory site is no longer as dark. Nevertheless, it is possible to see some quite faint objects – the tool of averted vision (looking slightly to the side of an object to let the light fall onto a more sensitive part of the retina) helps. The brightness of objects is measured by their magnitude on a complicated logarithmic scale – an increase in magnitude of 5 corresponds to a decrease in brightness of 100. From the city centre the faintest thing that can be seen with the naked eye is about magnitude 5 to 5.5, whereas at the observatories it is about 6 (1.5-2.5 times fainter) showing there are still benefits to finding darker sites in the town. Through a telescope however, there is an even more dramatic improvement, as the amount of light collected is proportional to area. The Northumberland telescope lets us see things about magnitude 14 – i.e. 1600 times fainter than the eye – though it takes a trained eye to see things this faint. 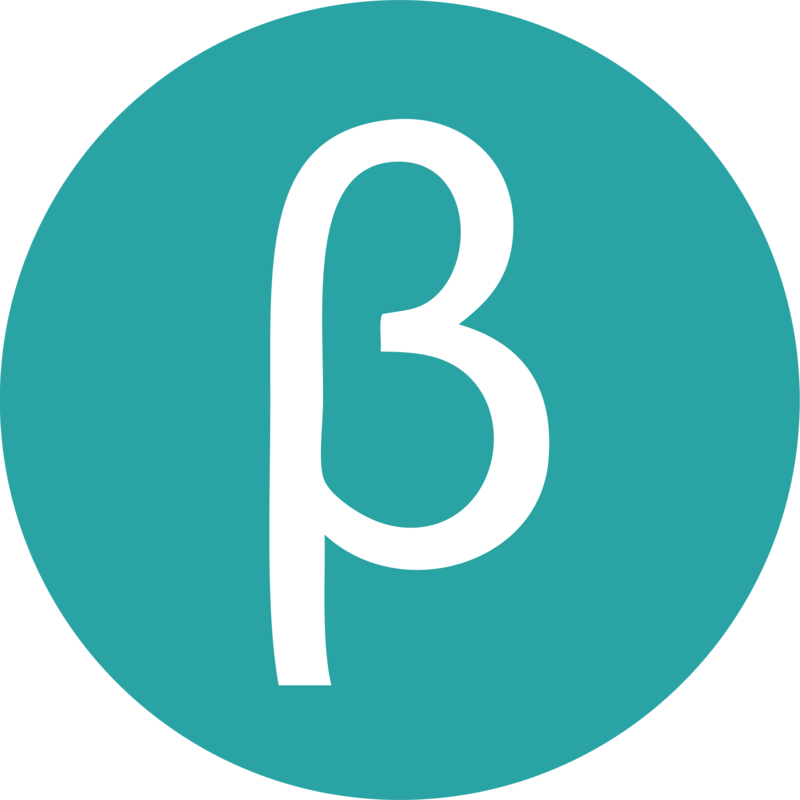 One recent satisfying achievement for a few of us has been to spot two of the moons of Uranus – Titania and Oberon. The farthest-away thing we have seen is a galaxy nearly 2.5 billion light-years away – it took the light 2.5 billion years to reach us – that is half the age of the Earth itself! The galaxy, called 3C273 (astronomers aren’t very good at naming things!) is an example of a quasar, where matter heats up as it falls into a supermassive black hole at the galaxy’s centre and emits light – due to the expansion of the universe, much of the light is ‘redshifted’ (its wavelength is extended and the light moves towards red on the electromagnetic spectrum), so they are much brighter at radio (even lower) wavelengths. Nonetheless, it is incredible to see the effects of an exotic object like a black hole. Our eyes take about 20 minutes to fully adapt to the dark and see anything this faint – exposure to white light ruins this, so find a spot away from lights and avoid looking at phone screens! Red light does not damage night vision, so a torch can be useful if covered with some red plastic. Unsurprisingly, most people stick to the brighter, more easily found objects. Undoubtedly the most spectacular object to be seen throughout the winter is in the famous Orion Nebula – a cloud of dust and gas over 1300 light-years away in which stars are forming. While some fainter objects can take on a fuzzy blob-like appearance (things never look like their images from the Hubble Space Telescope – that collects lots of data and has lots of processing to enhance colour and detail! ), it really does show some of the structure visible in images and it is amazing to be witnessing the birth of stars. It is just one of many good targets in the Messier catalogue – a catalogue of galaxies, star clusters and nebulae compiled by Charles Messier in the 18th century so that he wouldn’t confuse them for comets! Impressive summer nebulae include the ring nebula and dumbbell nebula, so called because of their distinctive shapes. Finally, with the high magnification of the Northumberland, the clusters really fill the eyepiece. Beyond the Messier catalogue, there are a few clusters that form fun shapes, such as a “37”, a coathanger and a Christmas tree. Planets are also popular: the belts on Jupiter, the rings around Saturn (I remember the first time I saw them, and the sense of amazement I felt when I realised I was not just seeing a trick of the light! ), and their brightest moons are all relatively easy targets that capture the imagination. As I write this, Venus is bright in the evening skies and a telescope will show that it has phases, much like the moon, a discovery made by Galileo. 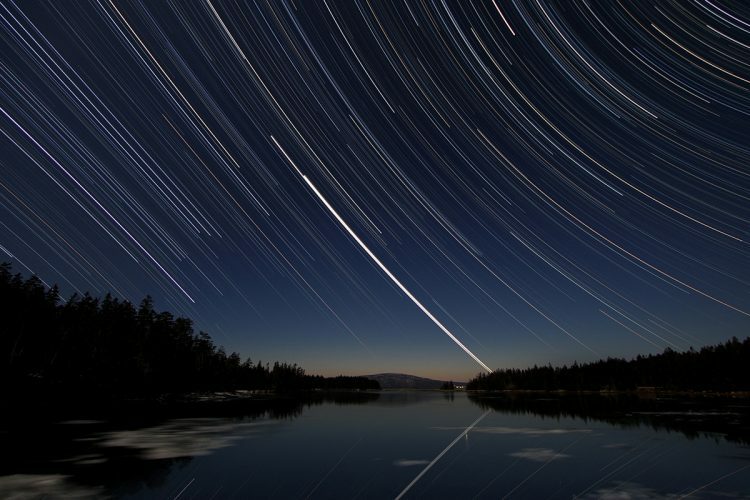 Astrophotography – photographing the night sky – is another popular pastime, especially for those who enjoy recording what they have seen, teasing out extra details or unleashing their creative side. There are several different types. Many people like widefield imaging, where you mount a camera on a tripod and take an exposure lasting a few seconds to capture a nighttime scene – I have seen some nice examples framed by the backs and King’s chapel recently. To image individual objects, a telescope is used to provide the magnification – while some people use expensive cameras like DSLRs or CCDs (Charge-Coupled device, for the real aficionados), a phone or ordinary digital camera held steady up to the eyepiece will give a pleasing result. So how do you go about observing as a beginner? Start just with your eyes – a planetarium app or computer program such as Stellarium can help you identify the patterns of stars around you. To look more closely, a pair of ordinary binoculars can give really good views of the larger, brighter clusters. There are several ways to get to use Cambridge’s telescopes: the Cambridge University Astronomical Society run regular “obsnights” where everything is set up for you – you just need your eyes. They also provide training for members on how to use the telescopes for yourself and run a series of talks to learn about the universe away from practical aspects. The Institute of Astronomy run their own open evenings on Wednesdays. These events are good ways to learn more about the objects in the sky and how to find them, observing techniques, and the equipment used to observe. Be sure to wrap up warm though, as it can get cold very quickly. But get your clothing right , and there are several people mad enough (myself included) to stay up observing until 3am, even with a 9am lecture the next day!